Deadly earthquake of magnitude 5.9 strikes Haiti. PORT-AU-PRINCE, HAITI: A 5.9-magnitude earthquake struck just off the northwest coast of Haiti late Saturday, killing at least 11 people and causing damage to buildings in the Caribbean nation, reported AFP. 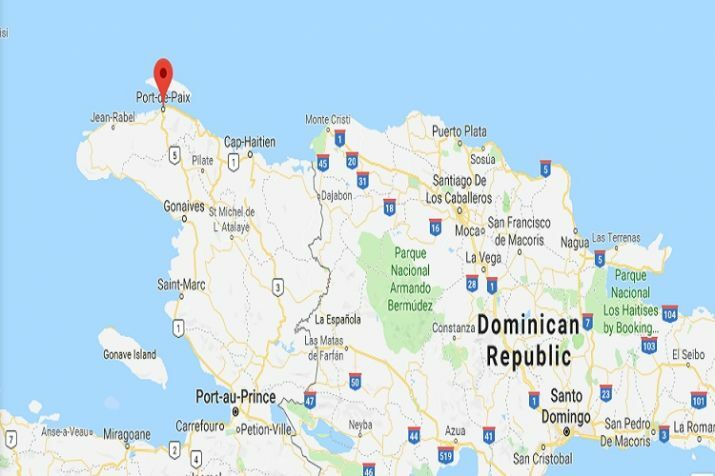 The epicenter of the quake was located about 19 kilometers (12 miles) northwest of the city of Port-de-Paix, the US Geological Survey reported. "The injured are being treated at area hospitals," Haiti's civil protection agency said ,noting that some of the injuries were sustained when people panicked after the quake. Prime Minister Jean-Henry Céant said a crisis cabinet has been created to coordinate all emergency responses to the earthquake. "Damage has been recorded mainly in the Far North. All my sympathies to the victims. The executive at the highest level is mobilized to provide appropriate answers. I call on the population to be cautious and calm," he said in a statement posted to Twitter. President Jovenel Moïse also tweeted that civil protection workers are already working to assist people in affected areas. The USGS said the center of the quake was about 11 miles northwest of the city of Port-de-Paix. It was only 7.2 miles deep. There was no tsunami warning in effect following the quake, which was felt across the country, the Haitian civil protection agency said. The agency said damage and injuries were mostly concentrated in the northwest region of the island, where two minor aftershocks were also felt, the agency said. It said the injured are receiving treatment in hospitals. In January 2010, a 7.1 magnitude earthquake killed an estimated 220,000 to 300,000 people in Haiti. Tens of thousands of people are still displaced as a result of the quake.